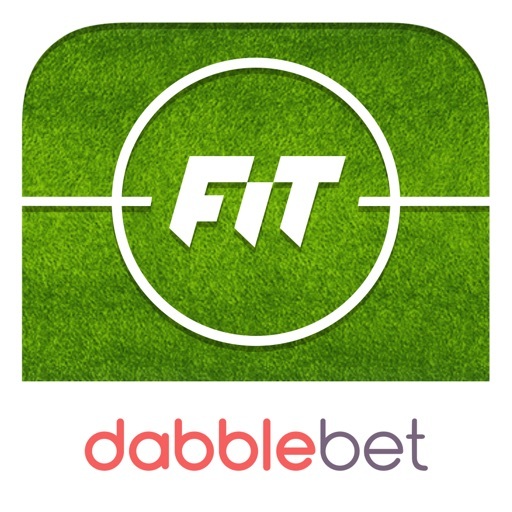 Dabblebet Fantasy iTeam is back for the 2018/2019 season, featuring the biggest competitions from around the world! 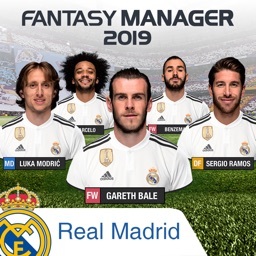 Use your £75 million budget to pick players to score you points based on their performance in real life matches. 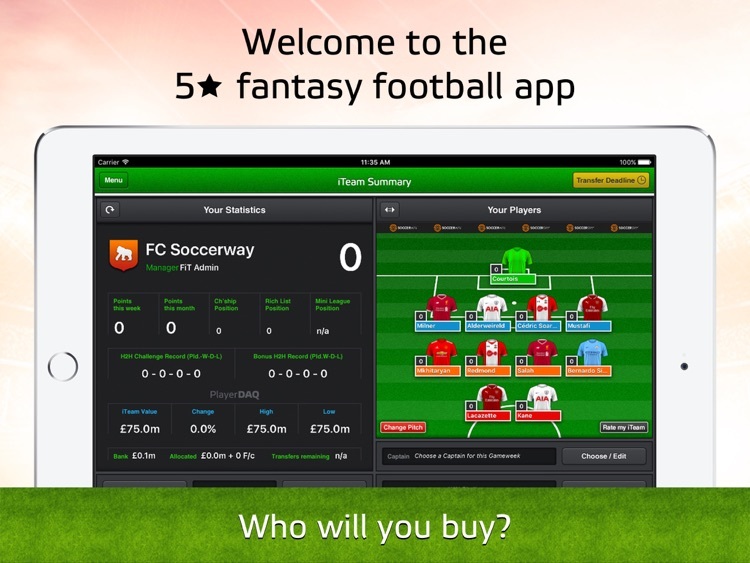 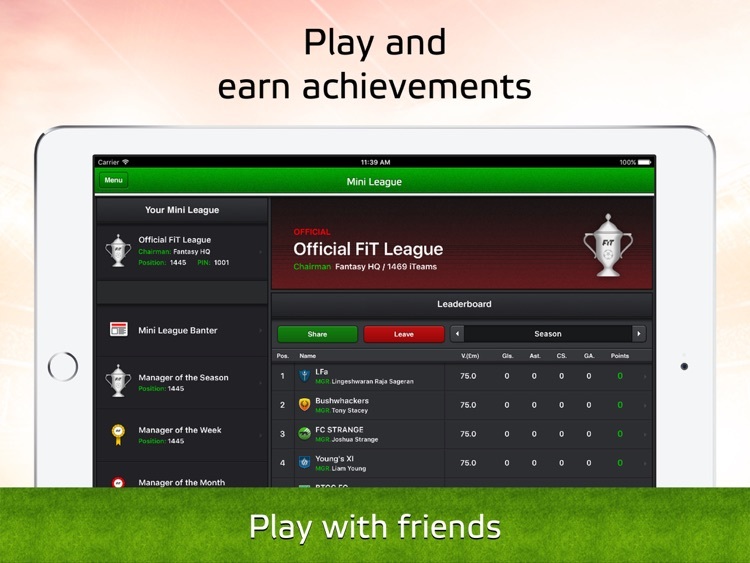 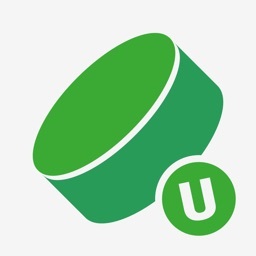 This really IS the ultimate fantasy football app! 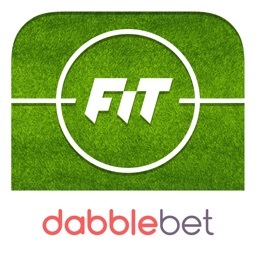 With scheduled weekly transfers, live and interactive newsfeed, achievements, match centre powered by OPTA, social Mini Leagues and our unique Head-to-Head feature; this app will keep you coming back for more every single day. 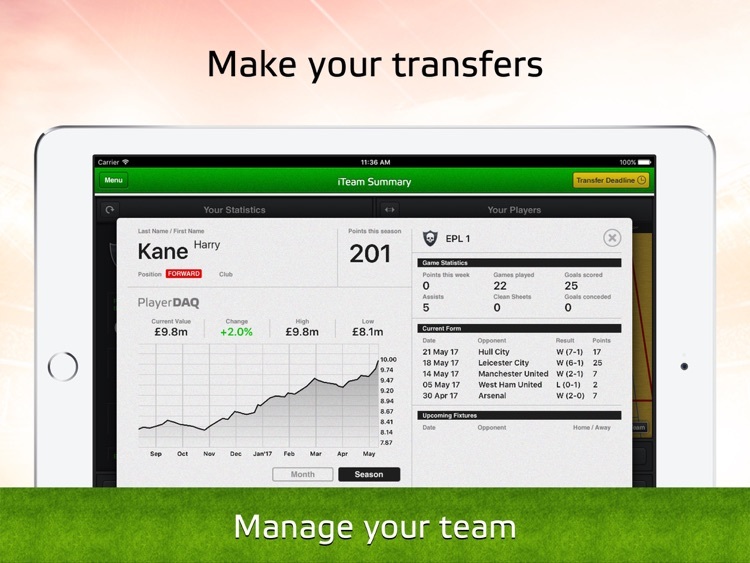 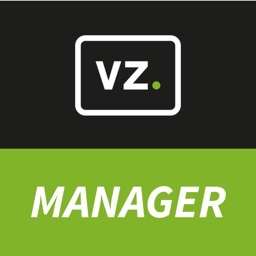 Playing Fantasy Football can be difficult when you're away from your Mac or PC; Fantasy iTeam changes this by allowing you to make those important managerial decisions while on the move with your smartphone. 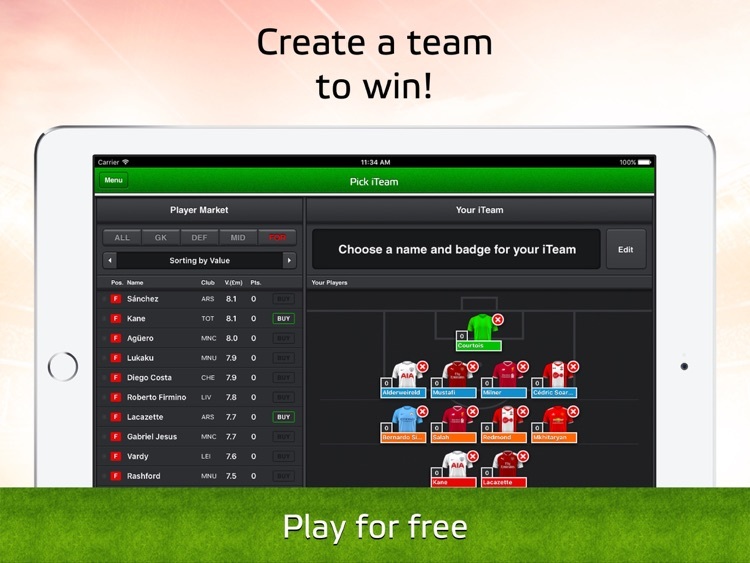 Simply sign-up within the app, pick a team, activate and start playing!